‘Rock Your Shades’ on Friday 14 May. At work, at school, indoors and out, Teenage Cancer Trusts wants you to act like a rock star, strut your stuff and wear your sunglasses with attitude all day. The charity is asking people to donate £1 to Teenage Cancer Trust and help give teenagers the fight and attitude they need to beat cancer. Teenage Cancer Trust is a UK charity dedicated to improving the lives of young people with cancer and has a strong rock heritage. With help from The Who’s Roger Daltrey, Teenage Cancer Trust has been staging sell-out annual gigs at the Royal Albert Hall for the last decade. The concerts have become a staple of the music calendar. To celebrate the launch of ‘Rock Your Shades’, Teenage Cancer Trust is offering an exclusive opportunity for you to get your hands on a pair of sunglasses (Ray Bans or Gio Goi) signed by some of the stars who performed at this year’s Teenage Cancer Trust concerts at the Royal Albert Hall. The auctions run from 6 – 16 May with all proceeds from this auction will go directly to Teenage Cancer Trust. Sunglasses have been signed by Noel Gallagher, Them Crooked Vultures, Arctic Monkeys, The Specials, JLS, The Who, Kelly Jones from Stereophonics, Lemar, Diana Vickers, These New Puritans and Sweet Billy Pilgrim. 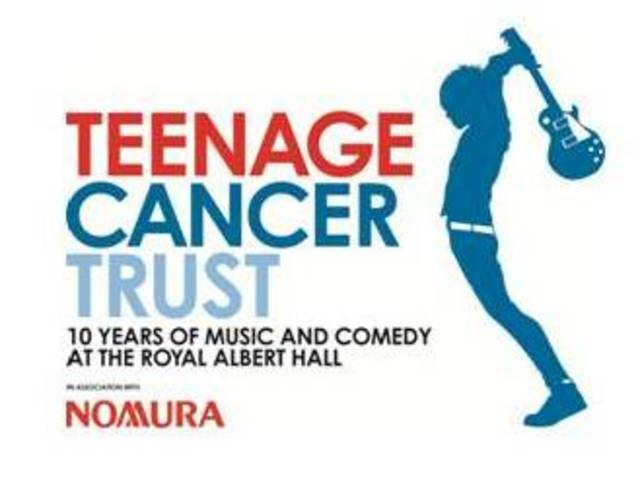 The Teenage Cancer Trust has announced an all-star, 10-night line up to celebrate its 10th year of music and comedy at the Royal Albert Hall in association with Nomura. Following Depeche Mode’s sold-out gig on 17 February, rock supergroup Them Crooked Vultures (Dave Grohl, Joshua Homme and John Paul Jones) will kick off nine consecutive nights starting on Monday 22 March. The week continues with a comedy night on Tuesday 23 March, featuring Jimmy Carr, Rhod Gilbert and Noel Fielding. Wednesday 24 March sees the return of brit-pop legends Suede, reforming for one night only for Teenage Cancer Trust. Noel Gallagher, performing for the first time since Oasis split last year, plays Thursday 25 and Friday 26 March. His two-night run, the only shows planned for 2010, promises to be unforgettable. On Saturday 27 March, Arctic Monkeys will play the Royal Albert Hall for the very first time. Sunday will be Teenage Cancer Trust’s first ever pop night, headlined by MOBO winners and multi-Brit nominated JLS. Monday 29 is the Shockwaves NME Awards Big Gig featuring ska legends The Specials. NME has today announced that The Specials will be given the Outstanding Contribution award on 24 February at London’s Iconic O2 Academy Brixton. In recognition of Teenage Cancer Trust’s link with the British Music Industry and work with young people with cancer, NME has renamed the award the Teenage Cancer Trust Outstanding Contribution. The Who will wrap up the 10-night spectacular in style on Tuesday, March 30 with a performance of QUADROPHENIA. Paid subscribers to thewho.com will have access to an exclusive pre-sale to this performance. 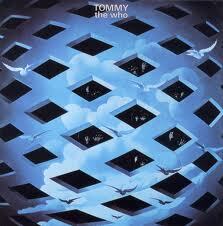 More details will be posted on www.thewho.comVERY soon. Announcing the line up, Roger Daltrey CBE, Patron of Teenage Cancer Trust said: “When The Who first got together in 2000 to raise money for this brilliant charity, I had no idea we’d achieve so much from these shows. In the last ten years we’ve raised over £8.7 million, helping Teenage Cancer Trust to open nine more specialist cancer units for young people across the UK. Support acts to be announced, check www.teenagecancertrust.org for details. The Who.com and Teenage Cancer Trust are very excited to announce Who Cares, a brand new fundraising initiative for fans of The Who. 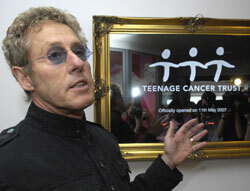 Roger Daltrey has been a patron of Teenage Cancer Trust for over 10 years and, with Pete Townshend at his side, giving his full support, has helped raise millions of pounds for the charity. Now Roger and Pete are encouraging all their fans to get behind Teenage Cancer Trust by signing up for WHO CARES. Talking about the charity, Roger said: “At a time when your body is changing, your social life is everything and you’re still trying to figure out who you are, getting cancer can seem like an impossible blow to take. But thanks to Teenage Cancer Trust, thousands of teenagers are taking it, and coming out fighting. There are loads of things you can do get involved with Who Cares, You could throw a Who-themed party, do a parachute jump, climb a mountain, run a marathon, hold an air guitar contest with your friends or just give a one-off gift! If you’d like to set up your own fundraising page. you can through here. Please make sure you write WHO CARES in the title. You can contact Teenage Cancer Trust directly for advice and support on + 44 (0) 207 612 0370. “Please send all our supporters seasons greetings from the universe and let them know how much I value their contribution to my life. Every day in the UK, six young people will hear the news that they have cancer. Teenage Cancer Trust understands that teenage cancer requires specialist care and in fact, that young people have a much better chance in their fight against cancer if they are treated by teenage cancer experts, in an environment tailored to their needs. Teenage Cancer Trust builds units in NHS hospitals which improve the quality of life and chances of survival for young people with cancer. But as Teenage Cancer Trust receives no government funding, Teenage Cancer Trust rely on voluntary donations from people like you. Teenage Cancer Trust estimate that with the units currently around the UK, only half of the teenagers diagnosed with cancer now have access to this dedicated, specialist support. Teenage Cancer Trust’s aim is to build enough units so that, by 2012, every single teenager with cancer will be treated on one. 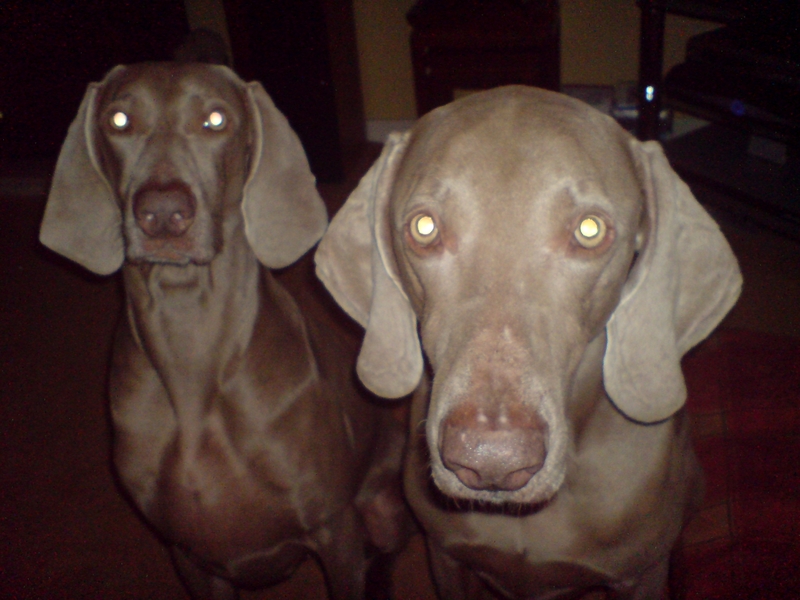 Visit www.teenagecancertrust.org to find out more. The Who singer Roger Daltrey, who is organising a series of gigs for the Teenage Cancer Trust, has praised Jade Goody’s courage. “There but for the grace of God go all of us”, Daltrey told Sky News during a visit to the Royal Albert Hall, where the gigs are being held. 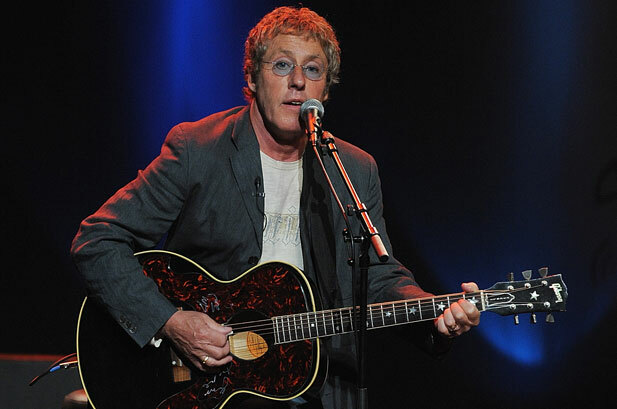 Daltrey organises the concerts every year and is hoping the shows are increasing awareness at a time when cancer is very much in the news, due to the ongoing headlines over Jade Goody’s battle with the disease. “I think she’s been incredibly courageous. 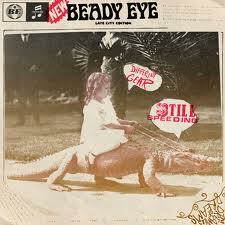 She’s made the maximum use of every minute of her life since she’s had that disease, and good luck to her,” he said. The Teenage Cancer Trust is a charity he has held close to his heart for some 20 years, over which time he has raised millions, and helped build nine Teenage Cancer Trust wards. “We literally, physically built this,” he told Sky News on a visit to one of the units at London’s University College Hospital. “If the TCT wasn’t here, this bit of the hospital wouldn’t have been built to do what it does. It’s a hard slog, but we’re getting there. I’m determined to get it done in my lifetime,” he added. The Teenage Cancer Trust gigs takeover the Royal Albert Hall for a week every year. Daltrey helps handpick the artists, and usually shows up to perform himself on a night or two, even if The Who aren’t playing themselves. 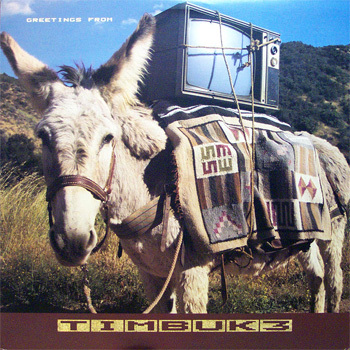 This year it has been more difficult to find UK artists who are available, he said. But he has managed to convince former performers The Stereophonics and Kasabian to return, alongside Antony And The Johnsons and Gavin And Stacey stars James Corden and Mathew Horne, who will head-up the traditional comedy night. A special evening of folk music, featuring Fairport Convention, has been added, plus an evening aimed at younger rock fans, headlined by Bullet For My Valentine. The Teenage Cancer gigs take place at the end of the month – Daltrey hopes his hard work will continue to help kids of a different generation. 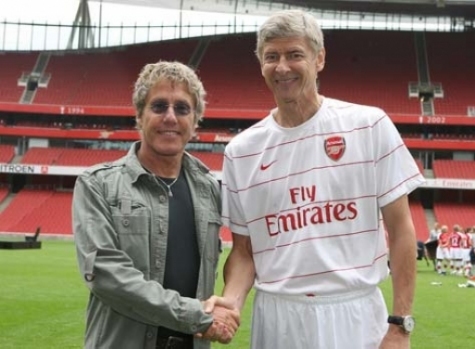 The Who front man and Teenage Cancer Trust Patron, Roger Daltrey CBE, took to the stage last week at an intimate event in London attended by Arsenal’s Manager Arsène Wenger and left-back Gael Clichy. The exclusive event took place at the Bloomsbury Ballroom to announce details of Arsenal’s Annual Charity Ball which will take place on 21 May at Emirates Stadium. The Legends & Youth Ball will raise money for the Club’s Charity of the Season -Teenage Cancer Trust – and the Arsenal Charitable Trust. Roger, who is a huge Arsenal fan, treated guests to a live set of The Who classics including Pinball Wizard. 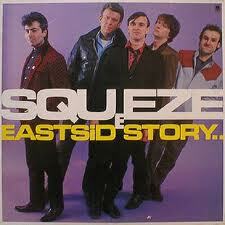 Playing alongside him was Simon Townshend, the brother of Roger’s band mate Pete. After Roger’s set, Arsenal’s Manager revealed details of the Legends & Youth Ball which promises to be an unforgettable finale to Arsenal and Teenage Cancer Trust’s season-long partnership. The ball will be hosted by comedian and Arsenal fan Matt Lucas and friends with a performance by hotly tipped young artist VV Brown. Friends of Teenage Cancer Trust, Rory McGrath and Phil Tufnell will entertain guests throughout the evening before world-renowned DJ Judge Jules hits the decks to fill the dance floor. Arsène Wenger, and the Club’s first team will also attend the ball and Diamond guests will be joined by players during dessert. Roger encouraged guests at the event to dig deep and buy tickets for the ball to support Teenage Cancer Trust and help young people fight cancer. Girl group Hope rounded off the evening in style, treating everyone to some new tracks which will feature on their upcoming album. Tables at the exclusive Legends & Youth Ball are available from 020 7612 0370 or by contacting legendsandyouth@teenagecancertrust.org . Tables are priced at £10,000 for Diamond packages and £6,000 for Platinum packages. Funds raised through this exclusive event will enable Arsenal to smash its £300,000 target for Teenage Cancer Trust, a charity devoted to improving the lives of young people with cancer. With Arsenal’s help, the charity will be able to increase its support to teenagers in the London area by building a unit within a brand new day care cancer centre due to open in 2012 at University College Hospital, London. Arsenal hopes to raise £300,000 to fund an Education Zone on Teenage Cancer Trust’s unit within the centre. The zone will be a dedicated space where teenagers and young people being treated can keep up with their studies and also learn more about their cancer. It will include computers and laptops with wireless access, enabling them to contact their school, keep in touch with their friends and even join in with lessons via webcam. On Sunday 21 December, Arsenal Football Club is dedicating its Premier League match against Liverpool to its Charity of the Season, Teenage Cancer Trust. Arsenal players and directors will be donating a day’s wages to the charity dedicated to helping improve the lives of young people with cancer and are encouraging supporters to give what they can through the ‘Be a Gooner. Be a Giver.’ campaign. The Club has a £300,000 target to reach over the 2008/09 season and the dedicated matchday will be a milestone for the partnership on the road to achieving this figure. There will be a number of fundraising activities taking place at Emirates Stadium at the matchday and to mark the special nature of the match, Arsenal players have participated in a short promotional film alongside teenagers with cancer. The light hearted advert, entitled ‘Do What I Say’, reflects the players’ support for young people with cancer. The Gunners stars appear in funny scenarios doing whatever the teenagers want them to do. The advert was created and shot by the agency, Brothers and Sisters and includes a voiceover by British comedian and Arsenal fan Matt Lucas. The film will appear on http://www.beagoonerbeagiver.org from 15 December in the run-up to the dedicated matchday and aims to encourage supporters to join in and donate through the site. Over the course of the season, through the ‘Be A Gooner. Be A Giver.’ campaign, the Gunners will aim to raise £300,000 enabling Teenage Cancer Trust to increase its support for teenagers and young adults with cancer in the London area by building a unit within a brand new Day Care Centre at University College Hospital, London. The money raised, through fundraising initiatives such as the dedicated matchday, will fund an Education Zone within the unit. 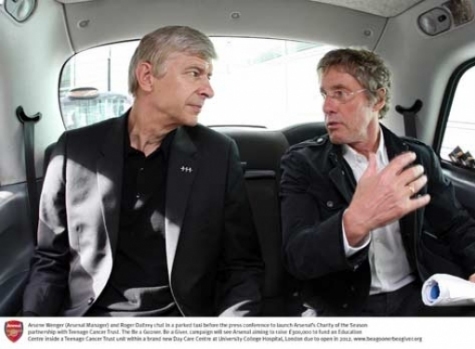 Arsenal is the first to commit to funding part of Teenage Cancer Trust’s unit in the Day Care Centre which will be the first of its kind in Europe and is due to open in 2012. The Club hopes that other organisations will follow their lead, helping the charity to raise a further £1.2million to complete the development of their unit which will help thousands of young people with cancer and their families across London and the South East. The Education Zone will be a dedicated space where those being treated can keep up with their studies and also learn more about their cancer. The zone will include computers and laptops with wireless access, enabling them to contact their school, keep in touch with their friends and even join in with lessons via webcam. For more information on the partnership, to watch the film and donate visit www.beagoonerbeagiver.org.